Previous PostPrevious Take a Look at the New Kate Spade Disney Quotes Collection! The Haunted Mansion opened in Disneyland in 1969 after years of development… and after the death of Walt Disney in 1966. Since its debut, this attraction with 999 happy haunts has won the hearts of countless fans. With tons of surprises and some shocking history, it’s no wonder it’s a cult classic. 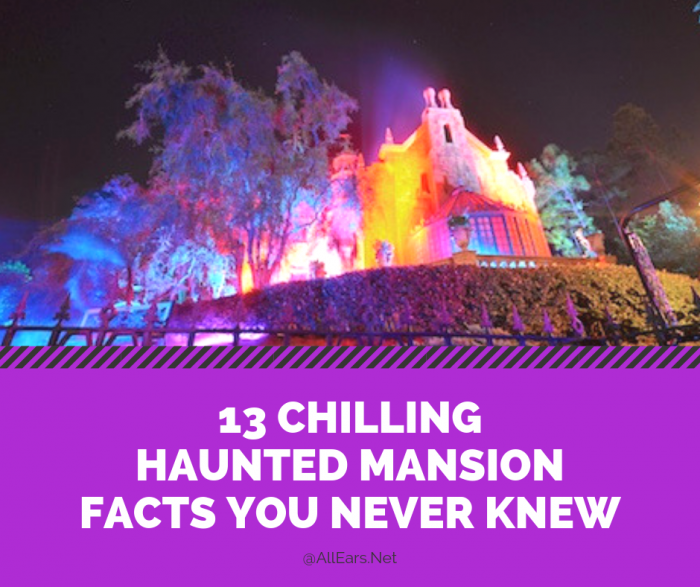 With Halloween right around the corner, the AllEars® Ghost Host thought it was the perfect time to share some fun facts about this beloved dark ride! 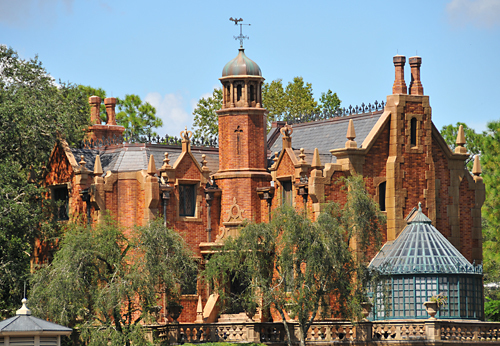 There are Haunted Mansion attractions at Disneyland, Disney World, and Tokyo Disneyland. 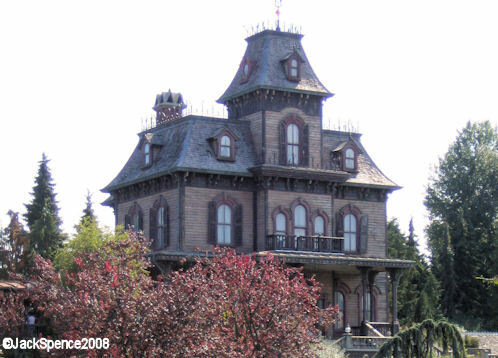 There are also two similar dark rides at other international Disney locations: Phantom Manor at Disneyland Paris and Mystic Manor at Hong Kong Disneyland. Wait time for this attraction is often listed as 13 minutes — even when there is no wait! In the Stretching Room scene at the Disney World location, the room is truly stretching. At the Disneyland location, you are actually inside an elevator! Once you exit the stretching room at its underground destination, you proceed into a portrait-lined hallway that takes you safely under the railroad tracks. At Disneyland’s Haunted Mansion in 1974, a guest brought in a firearm unbeknownst to cast members. He fired several rounds inside the attraction’s Ballroom scene, striking the glass. Since the glass was so expensive and time-consuming to replace (the roof of the attraction would have to be removed to fit it in), spiderweb stickers were placed over the damage. 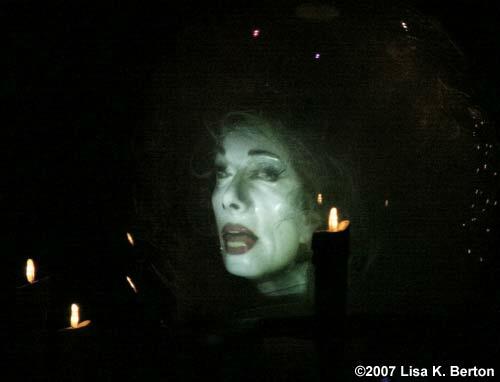 The disembodied head we see in the séance room was originally portrayed by Imagineer Leota Toombs. Her daughter Kim Irvine (now in Walt Disney Imagineering herself!) took over this role when new footage was needed. 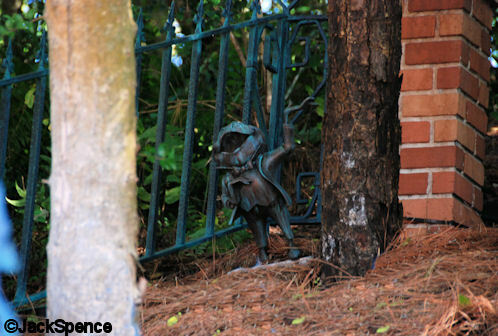 The pet cemetery at the exit of the Haunted Mansion in Disney World pays homage to Mr. Toad. You can see his statue marker up in the back. Can you find the cursed wedding ring? After a turnstile was removed, fans theorized that the metal left behind in the pavement resembled an engagement ring. It even became a popular location for Disney proposals. After it was paved over, Disney decided to add an official ring that you can look for. 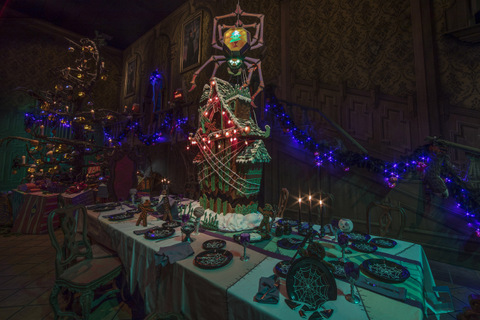 The Haunted Mansion in Disneyland gets a makeover to transform into Haunted Mansion Holiday every year between late September and early January. “The Nightmare Before Christmas”-themed overlay features characters from this Halloween and Christmas mashup movie. There is even a real gingerbread house in the birthday party scene that is created every year by a team of talented bakers. The singing busts in the graveyard scene in Disney World warble the attraction’s theme song, “Grim Grinning Ghosts.” Though sometimes mistaken for Walt Disney, the face on the bust on the left actually belongs to Disney Legend Thurl Ravenscroft, the song’s soloist. Ravenscroft is perhaps best-known as the voice of Tony the Tiger, the mascot of Kellogg’s Frosted Flakes cereal. In addition to Ravenscroft, the Singing Busts include Jay Meyer, Verne Row, Bob Ebright, and Chuck Schroeder. Oh, I didn’t mean to frighten you prematurely! 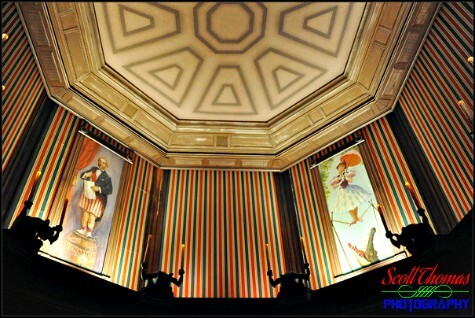 Find out more information about the Haunted Mansion HERE! Don’t forget to leave a comment about how much you love this attraction. Hurry back! Hurry baa-aaack! Next PostNext “Ralph Breaks the Internet” Soundtrack Coming Nov. 16! I’ve never seen number 3, and I’ve been going to the Magic Kingdom for decades. Is that a Disneyland thing? Gail, I’ve seen it at Walt Disney World — if I can find a photo, I’ll post it! Should throw in about Thurl singing the Grinch song, as well.. oh, and the new wedding ring.. is that World or Land…? Or both? I know it is at world. By the trash can in the interactive section if the line. “The ride was originally conceived as a walk-through attraction.” So was the Pirates of the Caribbean and a few other original Disney rides. This would actually be an excellent idea to reduce the lines. From the number of morbidly obese I always see there, it would be like a fast pass ride for the healthy. Another interesting fact recently revealed in a “WSJ” article is that many people scatter the ashes of their loved ones at WDW specifically inside this ride. That is a very creepy thing that “The Mouse” does not want to talk about. To me, one of the tombstone faces looks like Leslie Nielsen. I thought I was the only one that noticed that! They’re actually the members of the Mellomen, a singing group Ravenscroft belonged to.